Executive producer Kerry Brothers shared how he and Alicia Keys succeeded in getting Nas and Rakim on the same record for the first time. Thanks to hip-hop's storied history and layered moments, there's always a surprise that hangs around the corner when you do your research. 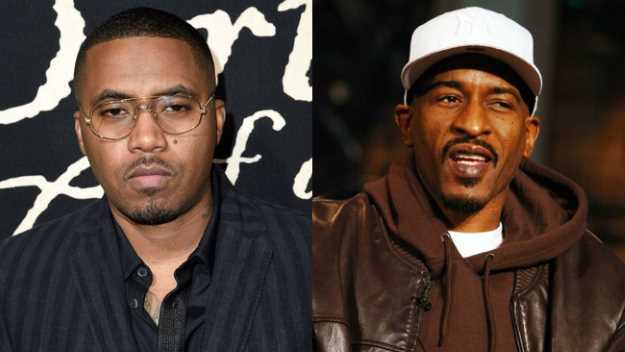 One narrative, in particular, is how Nas and Rakim recorded their earliest collaboration. While discussing the origins behind Alicia Keys' sophomore album, The Diary of Alicia Keys, executive producer Kerry Brothers revealed how he and the "You Don't Know My Name" singer succeeded in getting the New York City lyricists on the same record. Although Keys and her team wanted to steer clear of packing her project with features, one collaboration nearly made it onto the tracklist, which started as a flip of Nas' "N.Y. State of Mind" melody. "[Alicia] came up with the song and we put it out on a mixtape [Vol. 3 The Reign, 2003] in between the album," Brothers said. "We thought it would be dope to get Nas on this because it's a Nas record. Nas did it and we were honored. Then I was like Rakim is a scratch in the sample, it would be dope to have Rakim on this. Reached out and Rakim did it, so we had features on remixed records but it didn't make the album because we felt like, 'Ok, we don't want people to pick it up for Nas and Rakim.' It didn't really make any album, but it's out there floating somewhere. Just the fact that we were the first people to get Nas and Rakim ever on a record together was amazing and we did it from a mixtape idea." Keys' version was titled "Streets of New York (City Life)" and lived on her Unplugged album. She took her cues from DJ Premier's production of Nas' "N.Y. State of Mind," which took its melodic inspiration from Donald Byrd's "Flight Time" and Joe Chambers' "Mind Rain." The song is hosted on Nas' debut studio effort Illmatic. After that moment, the "One Mic" artist released "U.B.R. (Unauthorized Biography of Rakim)" in 2004 and their joint collabo on DJ Premier's 2007 "Classic," which also features KRS One and Kanye West.